When ASUS released the ZenFone 2 Laser, the company’s goal was to offer a premium smartphone experience with strong camera performance at an affordable price. Overall, we feel ASUS did an excellent job at finding a good balance of price, performance, and features with the ZenFone 2 Laser. The phone has a lot to offer, particularly at its budget-friendly price point. Saturation seems to be the tactic that Asus believes will get them to reach new heights, but it’s almost maddening at the same time because the Zenfone 2 Laser offers very little distinction over the original model. Yes, its starting price point of $199 outright makes for an attractive prospect for consumers who are pinched. However, we can’t fully commit to recommending this over the original model solely due to its faster laser auto-focusing tech. That’s an incentive for sure, but at the same time, there’s no substantial improvement to its overall quality. Additionally, there are other areas where the Zenfone 2 Laser lags behind its sibling. Taking into consideration that the hardware here is by and large similar, save for the chipset, we’d think that it would receive more of a discount at this point. Unfortunately, that’s not the case, so you might be better off picking up the original model – more so when it can be fetched at a discount nowadays. The ZenFone 2 Laser is, in mostly every way, the same as the ZenFone 2. The differences lie under the hood, which translates into a slight drop in performance, and in features, the most notable of which is laser-assisted auto focus. The price starts at $199 USD, putting it in the sweet-spot budget range for many. As with the ZenFone 2, if you're on a compatible network and you're upgrading from an older or lower-tier device, you'll be very happy with the ZenFone 2 Laser. Buying a smartphone for less than $250 can feel like shopping the clearance section. Most of the items available are hideous or hideously outdated, but once in a while, you come across a gem. The Asus ZenFone 2 series, starting at $199, is a great bargain, packing a good display in a sturdy frame. Camera lovers will appreciate the ZenFone 2 Laser's sharp, colorful image quality and fun customization features, and the microSD card slot will come in handy for storing all those pictures and videos. The Asus Zenfone 2 Laser is the best phone to buy in the sub-10K if the camera is your priority, but for anything else, you would be better off with the Meizu M2 Note. If you're willing to spend a little more, there is even the option of the Snapdragon 615-powered ZenFone 2 Laser, which comes with 3GB RAM and is expected to offer better performance on paper, though we haven't had a chance to test it yet. However, at under Rs. 10,000, the Asus ZenFone 2 Laser (ZE550KL) with 2GB RAM is probably the best closed-environment camera performance on a budget smartphone, and it's worth checking out if you're a photography enthusiast. 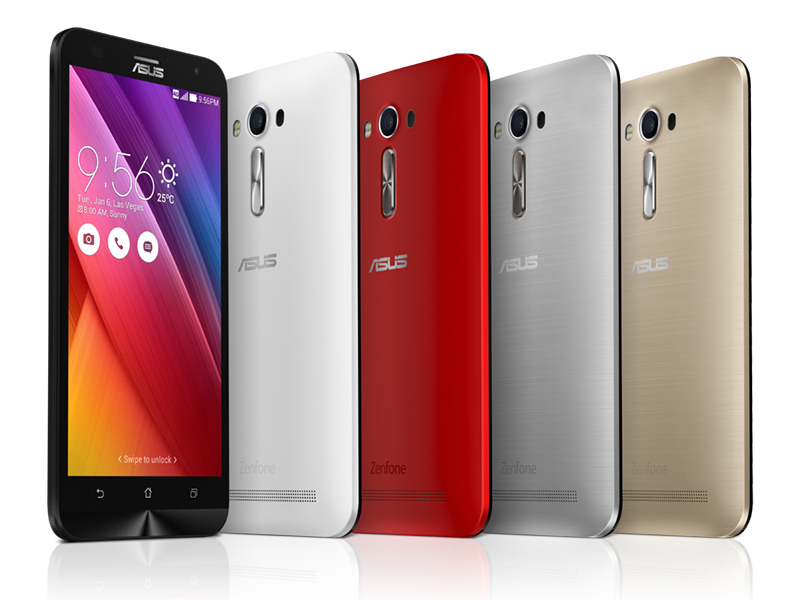 Model: The Zenfone 2 Laser 5.5 ZE by Asus is a high-end smartphone with the latest hardware. It features a 1.2 GHz quad-core processor coupled with 2 GB of RAM and 16 GB internal memory. The storage capacity can be expanded by up to 128 GB via the microSD card slot. Its 5.5 inch screen features a resolution of 720 x 1280 pixels, which gives ample of screen real estate for ease of use. This Zenfone 2 Laser has a 13 MP rear camera and a 5 MP front camera that shoots great pictures with the Laser Auto focus function. The Android 5.0 OS with ZeunUI gives users an enhanced mobile experience. The screen is protected with the Corning Gorilla Glass 4, which has a lesser chance of breaking in case of a fall. This sleek Asus smartphone has a thickness of just 10.8 mm and comes in a choice of black, white and red for colors. The weight is a mere 170 g with the battery plugged in. LTE is supported on this Zenfone, which ensures speedy internet connections while on the go and it has Dual Sim feature with dual standby. Battery life is also decent with the 3000 mAh battery as it lasts a whole day of moderate use. Finally, this Asus Zenfone 2 Laser is an excellent smartphone for the modern consumer.